The perfect sash for the perfect Maid of Honour. The sash features an elegant gold foiled printed design that glimmers away with you as you celebrate from day to night. 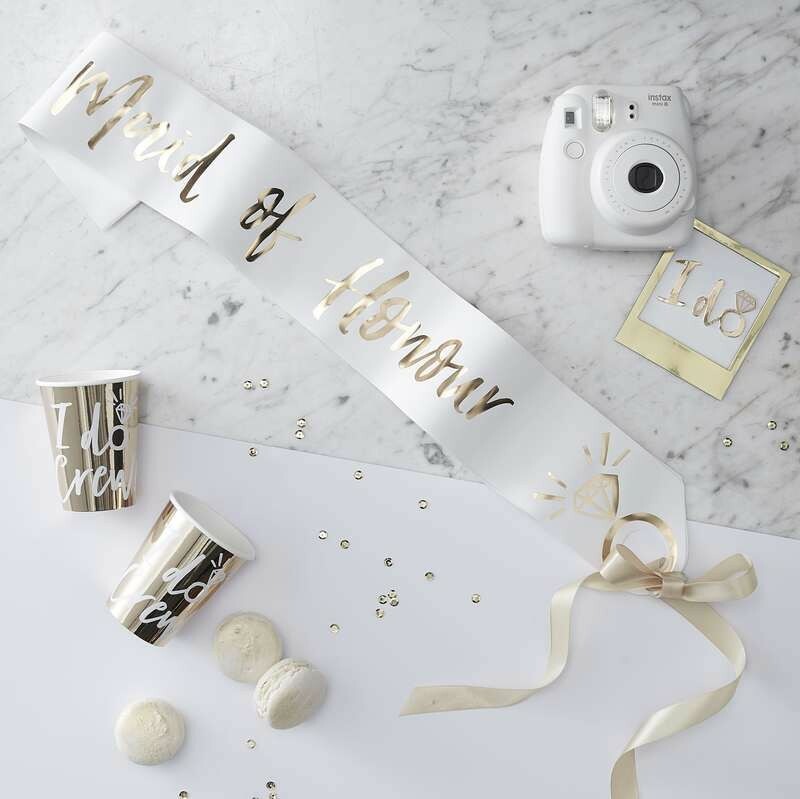 The 'Maid of Honour Sash' gold foiled design is set against a white background, featuring a delicate gold ribbon threading through for a size that fits all. A dreamy sash that will be ideal for your event, be sure to look at our other sashes to include everyone! Each pack contains 1 sash measuring: (W) 10cm (L) 75cm.